During my years blogging at this site some of you may know this, some will be surprised to learn that I was working full time as an Executive Assistant until 2017. Then I went to work part time at a design business. In January of this year I officially retired but knew I wouldn’t be able to sit around for long without getting antsy. I’ve always been a little hyper active and possibly a little OCD. So before I gave notice I did some soul searching for my next “career”. For 13 years before getting a full time job, my partner and good friend and I ran a landscape business. We planted cottage gardens and gave people options for renovating their yards and gardens. We both loved the work (and that has never ended) and we grew our business with word-of-mouth referrals. I decided to try my hand at this work once again. I have had 2 very large jobs (referred by friends) and know I’ve made the right decision. I thought somewhere down the line I would revamp this site and focus on inspiration images of beautiful gardens, as well as post pictures of my work. Note: Photography has never been in my strong suit, but I’ll attempt the process anyway. So, I will be ‘blogging’ again. It will mostly be landscape inspiration, but I confess, I’ve never stopped loving interior design as well so you can catch a few of my favorite design inspirations as well. I hope you’ll join me in this new chapter. Yeah!!! Good for you Karen, nothing will be as rewarding. looking forward to your `voice’ again. I may have to try that. I have a 6+, which is older and less great. I’ve always felt like I really needed to work on the photography, but convenience plays into the scenario. Debra, thanks again for your encouragement and support during this transition. So glad you have ventured into something you love…when that happens, it is never work but pure pleasure. I know you will be so successful at this revisited business. You have it all…knowledge, enthusiasm, great ideas, easy to get along with and I do not think the OCD is such a bad thing for people who like to get things done !!!! Haha, yeah, you and I know that there are distinct advantages to a touch of OCD. Thank you, Marilee. We’ll have to have lunch sometime soon! I’m so glad you’ll be posting again. I look forward to hearing about your adventures. Congratulations, Karen! I’m so happy for you! I’m so glad you will be blogging again, because I’ve missed you. Isn’t retirement grand? We get to reinvent ourselves into anything we want. I’ve become a watercolor artist. I need to restart my blog, too … much to catch up on. Good luck in your new adventures! Thank’s Gretch, it feels good to be back! Wonderful news! 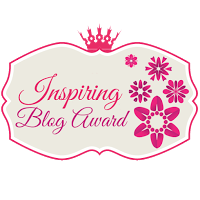 I’m really looking forward to seeing more of your work here– I remember being inspired by your beautiful rose garden early in your blogging days. Excited for you! I’ve truly missed this wonderful community of fellow bloggers and readers. Thanks for your kind words. I’m thrilled that you’re blogging again! I can’t wait to see photos of some of the beautiful gardens you’ll be installing for lucky clients. Welcome back! You’ve always been so supportive. Thank you for checking in.